Penn State’s home clash against Wisconsin this weekend is also the annual THON football game. 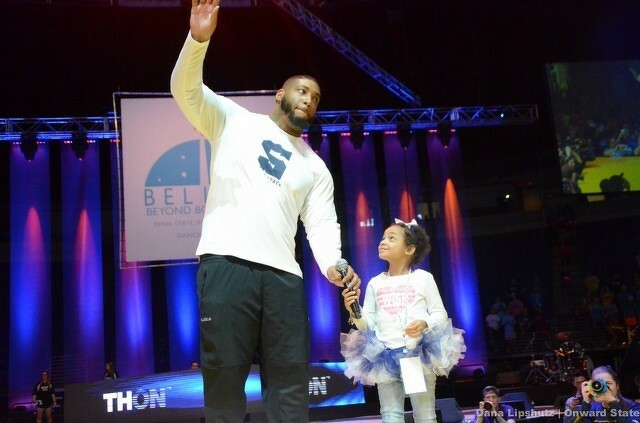 In honor of Penn State’s student volunteer effort to fight childhood cancer, former Penn State defensive tackle Devon Still and his daughter Leah, a cancer survivor, will serve as honorary captains for the game. Still played for the Nittany Lions from 2008-2011 before being drafted by the Cincinnati Bengals in 2012. He played three seasons in Ohio and spent the 2016 season with the Houston Texans. Still most recently signed with the New York Jets in 2017, but announced his retirement from the NFL last December. He founded the Still Strong Foundation, which provides support to families whose children are battling cancer. The foundation supports families in Pennsylvania, Texas, and Delaware and has a set a 2018 fundraising goal of $250,000. Leah was diagnosed with stage 4 neuroblastoma in 2014 and is now cancer-free. Devon and Leah received the Jimmy V Award at the 2015 ESPYs. The Stills have appeared multiple times at THON’s annual 46-hour no sitting, no sleeping dance marathon, telling their story and reminding volunteers why the philanthropic work THON does is so important. Look out for the Stills on the field at Beaver Stadium this Saturday, as well as other THON festivities including a yellow ribbon replacing the normal S-zone. 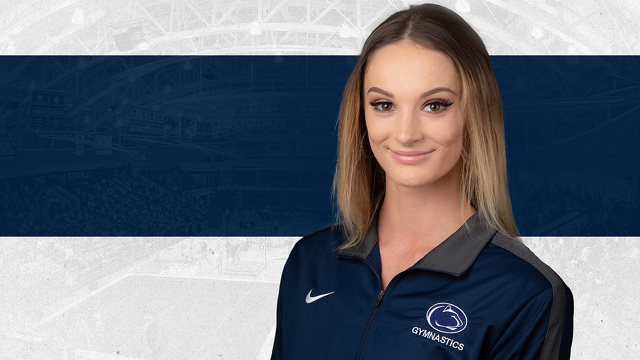 State College native Jessie Bastardi has joined the Penn State women's gymnastics roster for the 2019 season after transferring from West Virginia. A 2017 graduate of Saint Joseph's Catholic Academy, Bastardi redshirted for the Mountaineers last season.